Find out what customers are saying about Holmes European Motors. Here you will find a live review stream of our Mercedes-Benz dealership located in Shreveport, LA. These reviews were submitted by our customers on Cars.com, DealerRater, Edmunds.com, Google+, Yahoo! And Yelp. Wouldn’t buy a Mercedes from any other place. A full team of people who are knowledgeable with a passion to serve. I have been in a sales related industry for almost 26 years. As far as a car buying experience, Joe Hammoud is the best Sales Representative that I ever encountered. He uniquely helped me evaluate the vehicle that I sought to buy as though he was buying it himself. I'm not talking about any scripted sales pitch, but he personally tied himself to the sale. He made sure that the vehicle was represented as advertised and that it was truly what I wanted. Joe was not pushy, sincerely friendly, and easy to relate to. 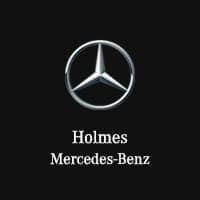 Holmes European Mercedes has the best dealership environment that I ever experienced. Every employee from management to the porters go out of their way to make sure that you are comfortable. Everyone I encountered treated me like I was their customer. My coach once told me that there is no "I" in team, but there is one in "win." This dealership is a winner and I will gladly make the 3.5 hour drive to buy from them again! Hands down this has been the best dealership I have ever worked with. You can be assured that this dealership stands behind their product and will do whatever necessary to take care of the customer. The customer service is excellent from the dealer GM, to the sales manager and salesperson. It has been a pleasure working with them, and I look forward to more purchases in the future. We found a great deal at Holmes European Motors on a beautiful Pilot. Lauren and Madeline were more than helpful in answering any questions we had and getting us the information we needed, then delivering the vehicle as promised. We are very pleased with our experience and our new vehicle.